High school graduation marks a major milestone in a teen's life. It's usually considered the turning point that separates childhood from adulthood. 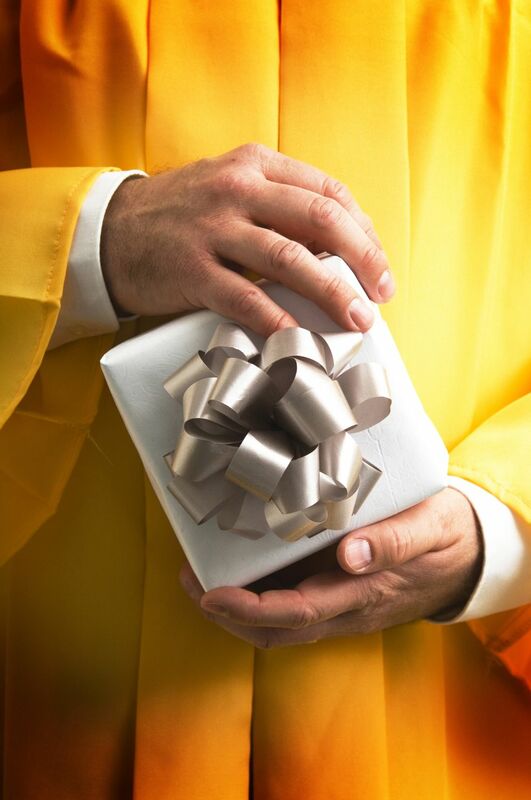 The gift you give your teen to celebrate her high school graduation could be practical, sentimental, or a combination of both. And while teens entering the adulthood world often have many items they could use, finding just the right gift can be a challenge. Whether your high school graduate is heading off to college, joining the military, or entering the workforce, money is likely to be much appreciated. If handing over a card with a check inside seems a little boring, get creative. There many fun ways to gift cash to teens. If you will be purchasing more of a memento for a graduation gift, go with something classic as opposed to trendy. For example, if you want to get your teen daughter a memorable piece of jewelry as a keepsake to wear at graduation, go with a string of pearls or a pretty linked gold chain instead of a statement necklace. A time capsule can also be a great sentimental gift. Encourage your teen and her friends to put items inside of a container that will remind them of high school. Write down some facts about their graduation year too, like who the president is and the price of gas. Then, encourage the teens to bury the capsule and open it on a date 25 or 30 years down the road. It can be a great activity for a graduation party. Find out what technology or devices your teen grad has and purchase a cool accessory for it. Adding value to something your teen already uses makes an awesome gift. A smartphone watch or a gadget that will help him turn his phone into a TV projector is likely to be put to good use. Most teens have lots of pictures on their phones or their laptops, but they never do anything with them. Purchase a digital frame and your teen will be able to upload those pictures and look at them regularly. Fill a laundry basket with laundry soap, fabric softener or dryer sheets, roll of quarters and directions on how to separate your laundry. This is a perfect gift for the teen who is moving out or going to college. Homemade gifts are always a heartfelt and inexpensive option. Also, remember to plan that graduation party.